Untuk kegunaan lain, lihat Seruling Sihir (disambiguasi). Seruling Sihir (Jerman: Die Zauberflöte diucapkan [ˈdiː ˈt͡saʊ̯bɐˌfløːtə]), K. 620, adalah sebuah opera dua bagian karya Wolfgang Amadeus Mozart untuk sebuah libretto Jerman karya Emanuel Schikaneder. Karya tersebut dihadirkan dalam bentuk Singspiel, sebuah bentuk populer yang meliputi nyanyian dan dialog bersuara. Abert, Hermann (2007). W. A. Mozart. Translated by Stewart Spencer; edited and with supplementary footnotes by Cliff Eisen. New Haven: Yale University Press. Besack, Michael (2002). Which Craft? : W.A. Mozart and The Magic Flute. Berkeley, California: Regent Press. ISBN 978-1587900136. Boldrey, Richard (1994). Guide to Operatic Roles & Arias. Dallas: Pst Inc. ISBN 978-1877761645. Branscombe, Peter (1991). Die Zauberflöte. New York, NY: Cambridge University Press. ISBN 9780521319164. Buch, David J. (2004). "Die Zauberflöte, Masonic Opera, and Other Fairy Tales". Acta Musicologica. 76 (2): 193–219. Chailley, Jacques (1992). 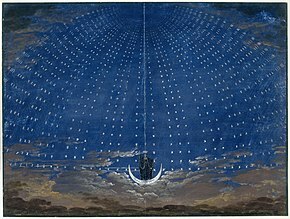 The Magic Flute unveiled: esoteric symbolism in Mozart's masonic opera. An interpretation of the libretto and the music. Rochester, Vermont: Inner Traditions International. ISBN 9780892813582. Deutsch, Otto Erich (1966) . Mozart: a documentary biography. Translated by Eric Blom, Peter Branscombe and Jeremy Noble (edisi ke-2nd). Stanford, Cal. : Stanford University Press. ISBN 9780804702331. Heartz, Daniel (2009). Mozart, Haydn and early Beethoven, 1781–1802. New York: W.W. Norton. ISBN 978-0-393-06634-0. Melitz, Leo (1913). The Opera Goers' Complete Guide: Comprising Two Hundred and Sixty-Eight Opera Plots with Musical Numbers and Casts. Translated by Richard Salinger. NY: Dodd, Mead & Co. ISBN 9781297599934. Rosen, Charles (1997) The Classical Style: Haydn, Mozart, Beethoven. New York: Norton. The cited passage can be read on line at Google Books: . Solomon, Maynard (1995). Mozart: a life. New York, NY: Harper Collins. ISBN 9780060190460. "Die Zauberflöte" (Program notes). Metropolitan Opera. 25 October 2014. Wikimedia Commons memiliki media mengenai Die Zauberflöte. Halaman ini terakhir diubah pada 11 November 2018, pukul 18.08.